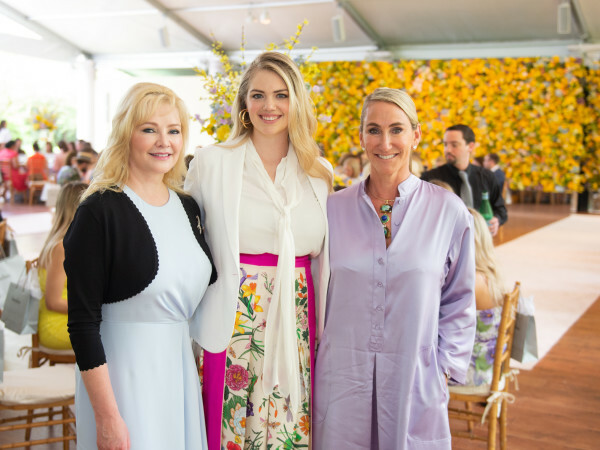 Practically on the heels of being honored at the Houston Ballet Ball along with her husband, Bobby Tudor, Phoebe Tudor stepped into the spotlight once again, this time solo, as recipient of Preservation Houston's President's Award. The honor was presented at the annual "Cornerstone Dinner" at River Oaks Country Club. The President's Award is given "to an individual for extraordinary professional and personal contributions to historic preservation in Houston." "She has the talent, the training and the conviction to champion the cause of historic preservation anywhere," noted Preservation Houston president Jane Page-Crump on presenting the award to Phoebe. As is tradition, in addition to receiving a framed certificate, Phoebe was presented with an engraved crystal brick. In addition to the President's Award, 13 Good Brick Awards were presented for historic preservation and five additional awards were handed out. Those winners are detailed here in a previous CultureMap article. The ballroom was packed with some of the city's most influential leaders starting with Mayor Annise Parker, who honored Phoebe in 2013 by naming her Houston's Preservationist of the Year. The evening, chaired by Dorothy and Mickey Ables and Nancy Ames and Danny Ward, raised a record of more than $250,000. Contributing to that success were Beth Madison, Soraya and Scott McClelland, Bart Truxillo, Eileen and George Hricik, Claire Cormier Thielke, Minnette and Peter Boesel, Ann Kennedy, Glen Rosenbaum, Anne Whitlock and Michael Skelly, Susie and Sanford Criner, Laura Bellows and Jack Pendergrast and Lili and Benito Guerrier.